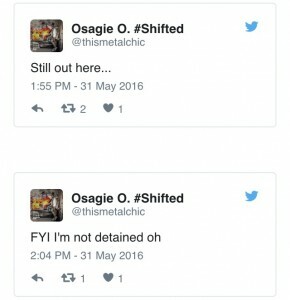 Earlier today, Music Talent manager Osagie Osarenkhoe was arrested by the Nigerian Police at the instance of Skales Record Label, Baseline Records. She was accused of fraudulently diverting N13.3m belonging to the record label for personal purposes. 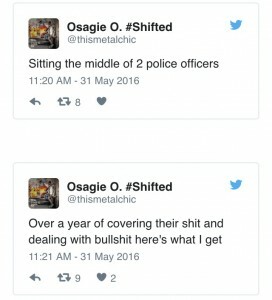 The label in a lengthy petition obtained by INFORMATION NIGERIA dated May 19, 2016 and addressed to the Assistant Inspector General of Police, Zone 2 Zonal Command, Onikan, Lagos, Baseline claims that Skales’ manager, Osagie committed fraud against the company with monies totalling N13,374,000. The Company noticed that although Skales was listed as performing at various concerts, shows, tours and other events, none of the monies received from these events was remitted to the Company. 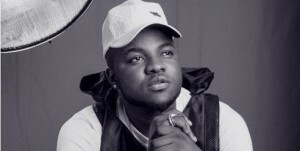 In this regard, the Company invited Skales and his manager Teresa Osagioduwa Osarenkhoe to various meetings seeking an account and a reconciliation. At these meetings, both Skales and his manager Teresa Osagioduwa Osarenkhoe insisted that the events in question were not paid events and as such there were no monies to remit. These dubious activities continued for a period of 12 (twelve) months wherein the Company was fraudulently deprived of its legitimate earnings by the said Teresa Osagioduwa Osarenkhoe as payments made for performances were paid directly into her account in violation of the procedure set up for payments at the beginning of the Contract. The Company in March of 2016 decided to catalogue some of the paid shows, performances, concerts and tours wherein Skales performed and the monies were fraudulently converted for personal use by the said Teresa Osagioduwa Osarenkhoe. Please find below a list of said performances which only covers the period from 3rd March 2016 to 1st May 2016. By the Company’s estimation, from the aforementioned events, Teresa Osagioduwa Osarenkhoe has fraudulently converted the sum of N7,474,000 from this brief period without accounting to the Company or making payments first into the Company’s accounts as stipulated in the Contract. This is without factoring all the other performances, tours and shows where no remittance was made from the period January 2015 to April 2016. Subsequent to the transfer of the money, our Samuel Gbemileke Samuel telephoned the said Teresa Osagioduwa Osarenkhoe requesting for an account of all monies received by Skales for performances and tours for the month of May. Teresa Osagioduwa Osarenkhoe insisted that there had been no paid performances for Skales during the period in question. The Company in 2015 entered into an agreement with Upfront and Personal, for the engagement of Skales to appear in TV commercials, billboards websites and other social media on behalf of MTN Pulse. As per the terms of the agreement, Upfront and Personal was to pay to the Company the sum of N5,000,000 (five million naira) in two tranches of N2,500,000 (two million five hundred thousand naira each). The said Teresa Osagioduwa Osarenkhoe representing that she was authorized by the Company obtained the sum of N5,000,000 (five million naira) due to the Company without being so authorized. Teresa Osagioduwa Osarenkhoe has failed after repeated demands to repay the said N5,000,000 (five million naira) fraudulently obtained. Given the above circumstances, the Company believes that a fraud has been committed against it by Teresa Osagioduwa Osarenkhoe. Osagie is a respected talent manager in the music industry who has over the years worked with acts such as Kel, Wizkid, Morell, Sarz, Dammy Krane, Niyola, Banky W and others. 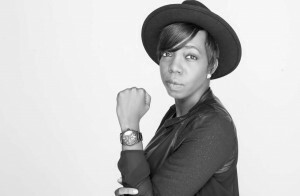 She currently manages Skales signed to label Baseline records, whom she is in the middle of a dispute with. She could not be immediately reached for comments as at the time of this posts as her phone numbers were unreachable.